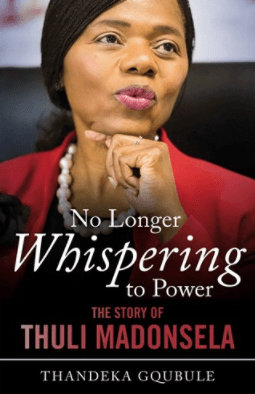 Journalist and author Thandeka Gqubule chatted to Karima Brown on 702 recently about writing No Longer Whispering to Power: The Story of Thuli Madonsela. Gqubule says the book is an effort to walk in Thuli Madonsela’s shoes. Join Thandeka Gqubule for the Cape Town launch of No Longer Whispering To Power this evening!